HMS Dido Portland - BLOOD TROPHY I was the clubswinger and we had a inter-department relay race around the helicopter base to launch The Blood Trophy which was a toilet seat painted gun barrel black with turks heads and the ships crest at the top the Captain presented it to the winning seaman mess . The wardroom won it in Singapore at rugby.The last I heard of the trophy was that it was displayed in a pub in Chatham . 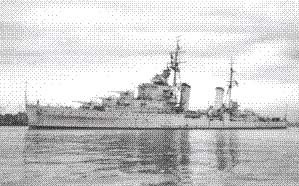 HMS Dido Simonstown November 1967.A team of 6 entered the BIG WALK 22 miles from Simonstown to Cape Town . I have the team photo if anybody wants a copy. Anyone who is in or knows anyone in the photo drop us a line !